In 2014, the European Court of Justice (ECJ) established the “right to be forgotten.” Under this right, Google must comply with an individual’s request to remove their personal information from its search results. Google agreed to remove the information from its domains based in the European Union (EU), but refused to remove the information from Google domains in other countries. This situation raises the question of whether an order directing Google to remove personal information under the right to be forgotten may extend beyond the EU’s territory—a question that the ECJ is scheduled to address in Google v. Commission Nationale de L’Informatique et des Libertés (CNIL). On one hand, Google’s refusal to remove the personal information from the domains of other countries makes the “right to be forgotten” useless. 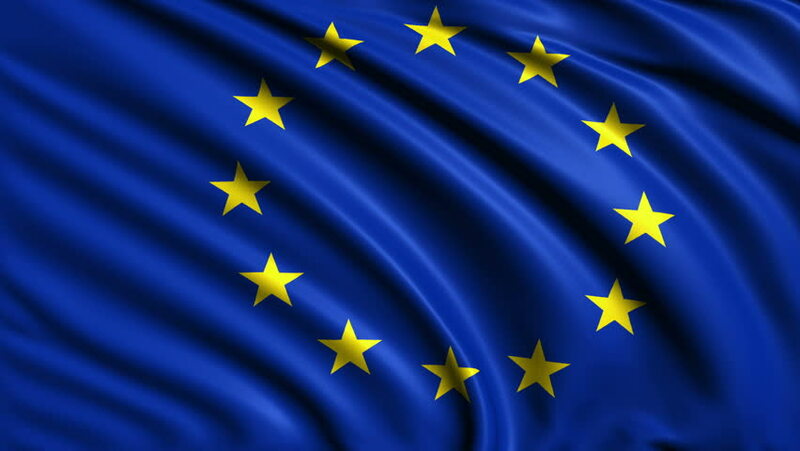 Citizens located in the EU may still access the individual’s information by faking an IP address of a non-EU country to access that country’s domain. On the other hand, extending the EU’s laws beyond its borders contradicts the territoriality and autonomy of other countries. For instance, if the EU’s right to be forgotten is extended to the United States, it would likely conflict with the American First Amendment. This article argues that, on the grounds of international comity, if an injunction from one jurisdiction requires Google to remove certain information from its search results, that injunction may not extend beyond the issuing jurisdiction’s boarders. The following principles of autonomy, territoriality, and comity underlie the policy reasons for declining to extend orders regulating Internet content beyond the borders of the issuing territory. A country’s jurisdictional authority may be separated into three categories: (1) jurisdiction to prescribe, (2) jurisdiction to adjudicate, and (3) jurisdiction to enforce. These three categories describe a country’s authority to promulgate laws regulating people, subject those people to its judicial processes, and compel compliance with its law respectively. The question in the Internet search cases asks how far and to what extent a country’s jurisdiction to enforce may extend. If a court order to remove Internet content extends the law of jurisdiction X into jurisdiction Y, it disregards the latter’s autonomy. That is, jurisdiction Y forfeits its ability to prescribe and enforce its laws regarding that Internet content. Under the “territorial principle,” a state has the authority to make law applicable to all persons and property within its territory. Although the Supreme Court held in 1824 that the “laws of no nation can justly extend beyond its own territories, except so far as regards its own citizens,” strict territorial reach of domestic statutes greatly diminished after World War II. While the advent of the internet increases access and communication among citizens of different nations, the structure of the Internet agrees with territorial boundaries because it has country-specific domain names and IP addresses. These domain names are overseen by an organization called the Internet Corporation for Assigned Names and Numbers (ICANN). The decentralized nature of the Internet seems to accord with the principles of territoriality, which supports the idea of a country’s autonomy. Comity is a voluntary action of one nation to respect the laws of another country in the hopes of similar treatment. For example, when laws of the United States conflict with the laws of other countries, comity may serve as the basis for enforcing the laws of other countries in the United States. However, comity is a double-edged sword that may restrict the extension of United States law into other countries. International comity is an important consideration where the Internet is concerned, because the Internet is a transnational and decentralized institution that arguably brings countries into closer contact. Increased contact makes it more likely that the laws of one country will interact with the laws of another. Furthermore, many of the Internet governance issues are closely related to legal issues that predate the Internet; for example, cybercrime relates to pre-Internet crime. The internet we know today was for private use in the 1960’s and expanded globally in the late 1980’s and early 1990’s through Tim Berners-Lee’s idea to create a World Wide Web. When the internet entered the global stage, it posed credible threats to the sovereignty of nations, as it created a platform that defied traditional notions of territory. It was subsequently determined that the internet would be confined by “geo-location,” and cut up into distinct spheres to maintain countries’ sovereignty over their internet domains. As time has shown, this system has not been foolproof. For example, users can fake IP addresses to access the domains of other countries, without physically being in those countries. Because the internet still poses challenges, there have been calls for a universal Internet jurisdiction. Therefore, as a threshold matter, does the nature of the internet grant it universal jurisdiction privileges? It does not. A universal internet jurisdiction would ultimately and impermissibly violate the principles of autonomy and territoriality. If there were a universal Internet jurisdiction, countries would likely reach legal impasses. For example, the United States’ laws on free speech are likely impossible to reconcile with Thailand’s lèse-majesté laws, which ban any insult against its king. Although free speech is a means through which citizens can hold their government accountable, it holds the potential to constitute undesirable content such as hate speech. The tensions inherent in what speech is allowed are reconciled largely according to the country’s cultural underpinnings. It is therefore unlikely, that countries will be able to reach an accord regarding free speech should a universal internet jurisdiction come to fruition. Even if a universal internet jurisdiction may not be realized, international comity may serve as a safeguard for countries whose sovereignty is threatened by the non-territorial nature of the Internet. The following two cases implicate the court’s need to balance international comity with autonomy issues created by the Internet. In 2011, Equustek, a network equipment provider, sued defendants associated with its competitor, Datalink, in a Canadian court. Equustek claimed that Datalink colluded with a former Equustek employee to steal its trade secrets and deceive consumers. Equustek successfully obtained several orders against the defendants, and then turned to Google with a request to remove the Datalink websites from search results. Google voluntarily removed the index references to the defendants’ websites from its google.ca domain, but did not remove the references from its search results from other domains. Equustek then sued Google in a Canadian court, seeking an injunction compelling Google to take down the Datalink websites worldwide. The Supreme Court of British Columbia granted the injunction an ordered Google to remove indexes and references the Datalink websites from search results on all of its domains worldwide. Google then brought action in the United States District Court in the Northern District of California, seeking injunctive relief and a declaratory judgment that the Canadian order cannot be enforced in the United States. The District Court granted the preliminary injunction, blocking the enforcement of the Canadian order in the United States. The court reasoned that the Canadian order undermined U.S. federal law and threatened free speech on the Internet, and was therefore unenforceable in the United States. One month later, the District Court entered a default judgment in favor of Google and granted permanent injunctive relief. Here, Equustek has a valid concern—their successful judgment in Canada has not effectively prevented trade secret infringement and consumer deception. Furthermore, Canadian consumers may access the Datalink websites through a United States domain, circumventing the Canadian order to delist the websites. However, Equustek v. Google reaches the correct result. If the Canadian order were to have automatic effect on United States domains, it would allow Canada to extend its law into American territory, regardless of whether that law conflicts with the United States’ law. In this case the Canadian court disregards the principle of comity by extending its law into the United States. However, comity is reciprocal—the United States is equally free to ignore comity by refusing to enforce Canada’s order within its borders. The ECJ will decide a similar question regarding the EU’s “right to be forgotten” rule in Google v. CNIL. Again, this rule allows individuals to request that Google take down websites with the individual’s personal information that is “inaccurate, inadequate, irrelevant or excessive.” The ECJ will confront the question of whether the “right to be forgotten” rule will extend beyond the EU. In other words, whether Google must remove references to the websites containing the personal information across all of its domains worldwide. France’s CNIL argues that without a worldwide order, the “right to be forgotten” rule will be meaningless. Without an order that applies worldwide, a French national’s personal information may still be available to American colleagues, or accessible to other French nationals who can gain access to the Google domains of foreign countries. On the other hand, Google argues that a worldwide order would open the doors for countries with stricter freedom of speech rules to place limits on other countries. For example, China may try to extend its censorship of the #MeToo movement to other countries as well. Should the ECJ issue an order requiring Google to remove the personal information of EU citizens, it would challenge the principles of territoriality and autonomy. Furthermore, an affirmative order to delist certain websites worldwide may reach a result similar to Equustek v. Google. An order from the ECJ would clash with the First Amendment in the United States. Therefore, the United States should not use comity to enforce the order, as the EU’s right to be forgotten rule is outweighed by the First Amendment in this case. Moreover, a global order could potentially generate an influx of cases seeking the enforcement of strict laws against freedom of speech in the United States. The ECJ should prohibit the issuance of global orders to delist websites in accordance with EU law. That is, if a European country issues an order mandating that Google remove certain websites from its search results, the order should not be automatically enforceable in non-EU countries. This would greatly impinge on state autonomy and territoriality. Furthermore, such an order disregards international comity, and as a result, cannot be expected to be enforced in other countries in that very same interest of comity. † Annalisa Choy is a J.D. Candidate at Cornell Law School where she is an associate for the Cornell International Law Journal. Annalisa holds a Bachelor’s degree from the University of Southern California. European Commission, Factsheet on the “Right to be Forgotten” Ruling (C-131/12), http://ec.europa.eu/justice/data-protection/files/factsheets/factsheet_data_protection_en.pdf. Case C-507/17, Google Inc. v Comm’n Nationale de L’Informatique et des Libertés (CNIL), http://curia.europa.eu/juris/document/document.jsf?text=&docid=195494&pageIndex=0&doclang=en&mode=lst&dir=&occ=first&part=1&cid=1004317 [hereinafter InfoCuria]. Jeffrey L. Dunoff, Steven R. Ratner & David Wippman, International Law: Norms, Actors, Process 273 (2015). Kevin Stacey, Questions for John Savage: How Can the Global Internet Be Governed?, News From Brown (Dec. 2, 2014), https://news.brown.edu/articles/2014/12/savage. Legal Information Institute [LII], Comity of Nations, https://www.law.cornell.edu/wex/comity_of_nations. William S. Dodge, International Comity in American Law, 115 Colum. L. Rev. 2071, 2072 (2015). Raphael Cohen-Almagor, Internet History, 2 Int’l J. Technoethics 45, 53 (2011). Dan Jerker B. Svantesson, Sovereignty in International Law – How the Internet (Maybe) Changed Everything, but Not for Long, 8 Masaryk U. J.L. & Tech 137, 155 (2014). Thomas Schultz, Carving up the Internet: Jurisdiction, Legal Orders, and the Private/Public International Law Interface, 19 E.J.I.L. 799, 801–02 (2008). Pauline C. Reich et al., Internet Governance: International Law and Global Order in Cyberspace, in The SAGE Handbook of Globalization 529, 598 (2014). Alex Hern, ECJ to Rule on Whether ‘Right to be Forgotten’ Can Stretch Beyond EU, The Guardian (July 20, 2017), https://www.theguardian.com/technology/2017/jul/20/ecj-ruling-google-right-to-be-forgotten-beyond-eu-france-data-removed. Equustek Solutions v. Jack, 2014 B.C.S.C. 1063, para. 4, https://www.canlii.org/en/bc/bcsc/doc/2014/2014bcsc1063/2014bcsc1063.pdf. Google v. Equustek Sols., No. 5:17-cv-04207-EJD, 2017 U.S. Dist. LEXIS 182194 (N.D. Cal. Nov. 2, 2017). European Commission, supra note 1. Javier C. Hernández & Zoe Mou, ‘Me Too,’ Chinese Women Say. Not So Fast, Say the Censors, N.Y. Times (Jan. 23, 2018), https://www.nytimes.com/2018/01/23/world/asia/china-women-me-too-censorship.html.